21 years corporate experience starting in business and moving to IT, with a strong financial background. Experienced with analyzing and documenting processes, optimizing business processes for increased efficiency and accuracy, implementing procedural and technical changes, and training users on new procedures and technologies with many complex business units and products. 1.5 years managing a CRM system(Pacific Life); 8.5 years working in business and IT on every major application related to the complex security trading process (The Capital Group); 7.5 years in tax, non-profit, and corporate accounting (SAECO, Inc.; Tucson Utility Contractors Association; Steve Koons, CPA; Arizona Alumni Association; David McDonald Income Tax; Accountants On Call); 3.5 years managing staff and guests; training new staff; providing requirements and testing of new system; and creation of scheduling system (The Walt Disney Company). Applications: Schedule creation; Automated Notice generator; Reporting; Equity Trading; Trade Processing; Accounting; Compliance; Data Warehouse; CRM upgrade. Process: Documented procedures for a Shared testing team; Standardization of changing sales territories; Development of knowledge sharing site; Standardization of production support procedures for new compliance system; Revised business continuity documentation and procedures; Increased efficiency and accountability for an annual fund-raiser for a non-profit organization. 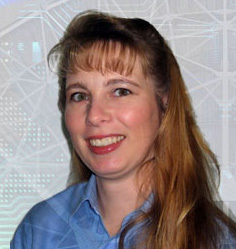 Stacy 's experience encompasses both business and IT. Having started her career in accounting, attention to detail, accuracy, efficiency, and analytical thinking are the foundation of how she approaches every task. She implemented a significant improvement to a non-profit organization's annual fund-raising auction by defining new processes and implementing new technology for tracking auction donations and auction results that increased the revenues from $30K to well over $100K in the first year. In addition to the process improvements, the technological improvements allowed donations to be assigned to specific causes within the organization. Prior to these changes, the results of the annual event were reported 5 days later; these changes allowed the results to be reported within an hour of the event ending. One of her largest projects was documentation of the equity trade cycle for a data warehouse. Majority of the development team was not familiar with the various business processes, systems, functionalities, or the data state transitions. She documented all of these and worked to train the team so they could begin building the data warehouse. Stacy utilizes her analytical thought process, blended with her IT experiences, to ensure successful completion of all her projects.